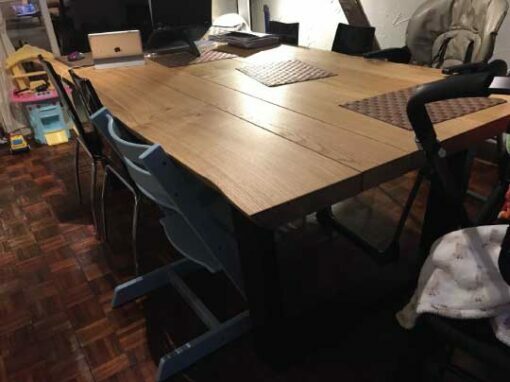 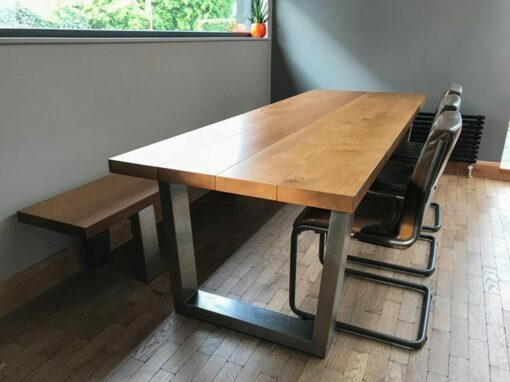 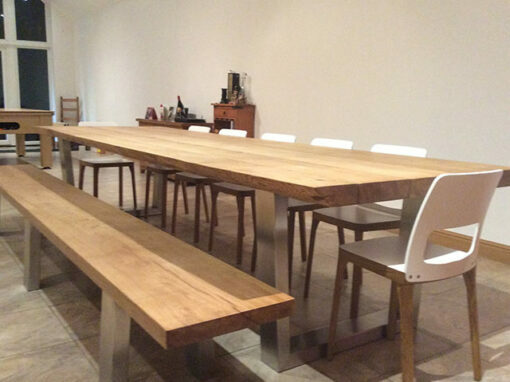 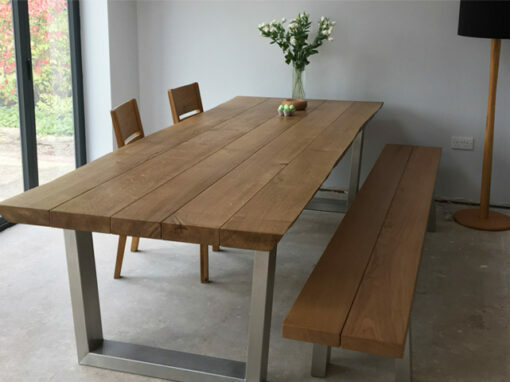 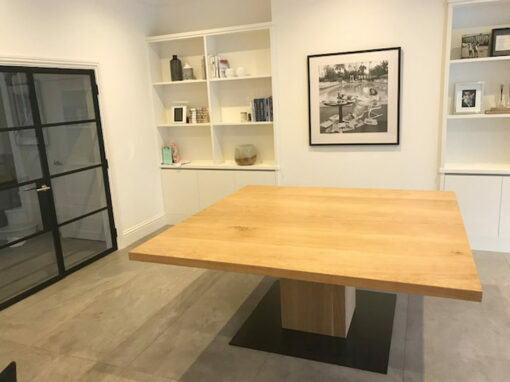 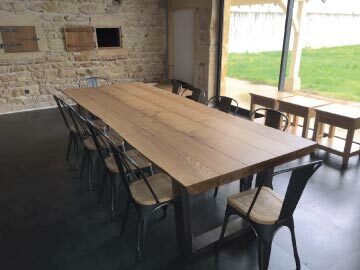 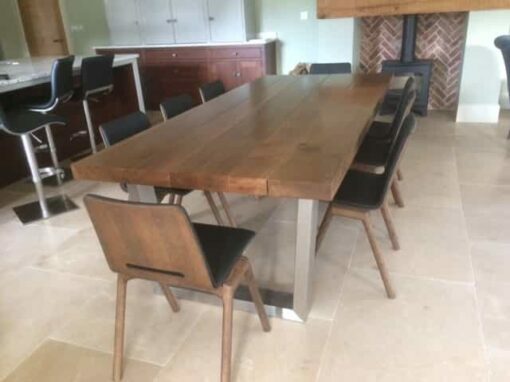 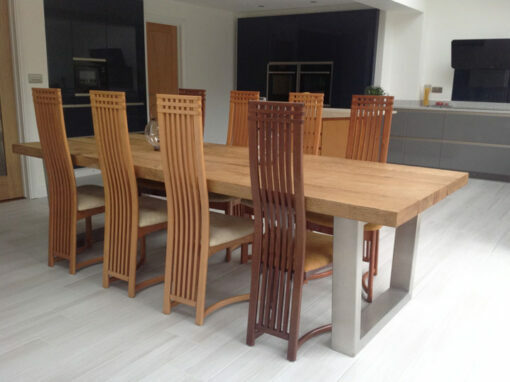 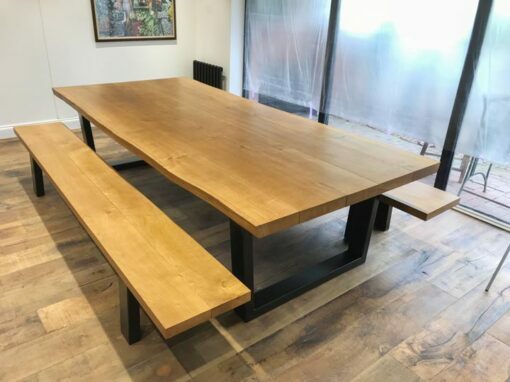 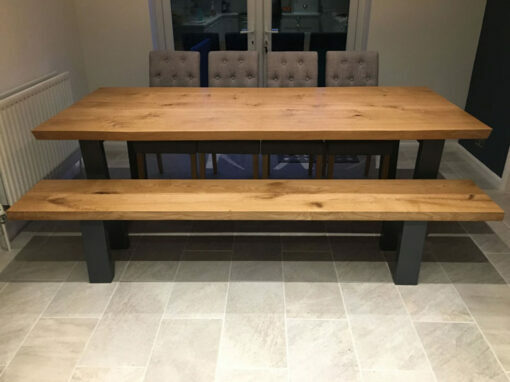 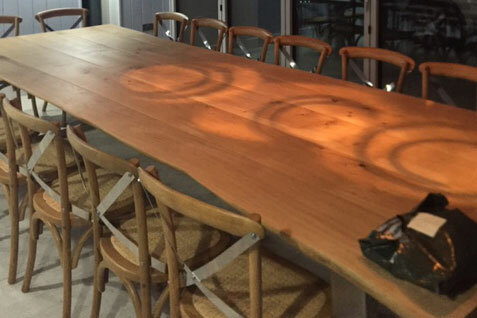 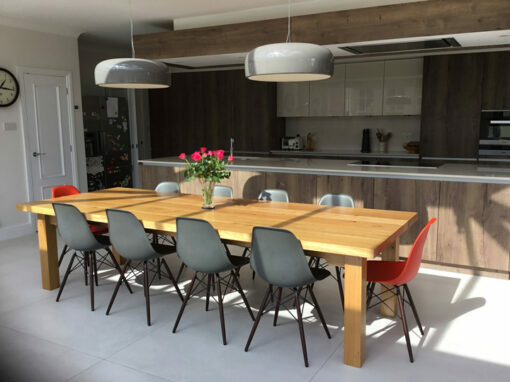 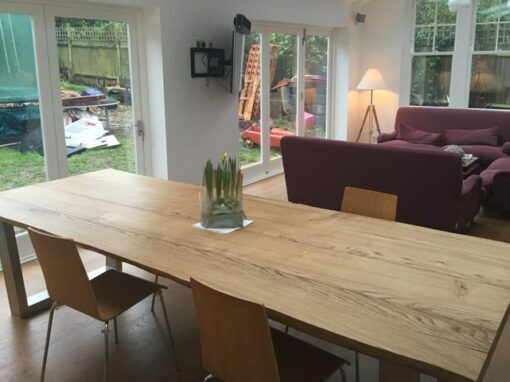 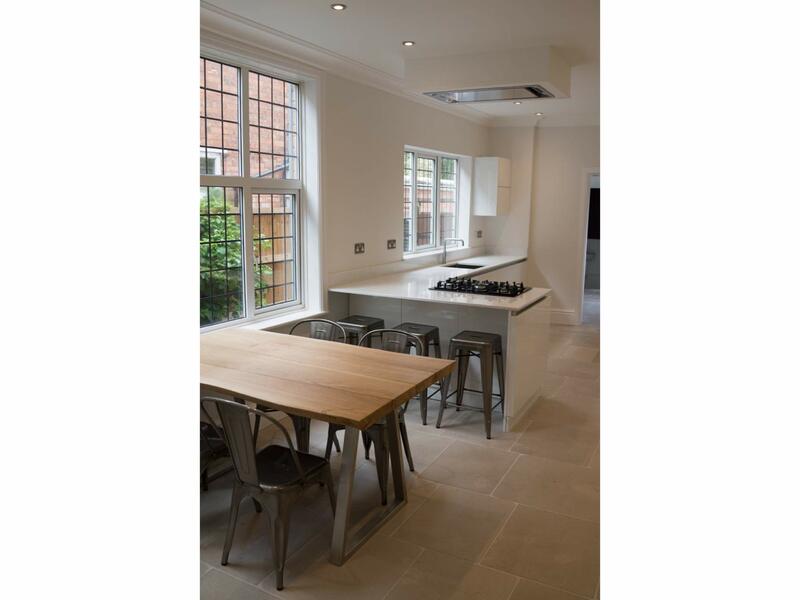 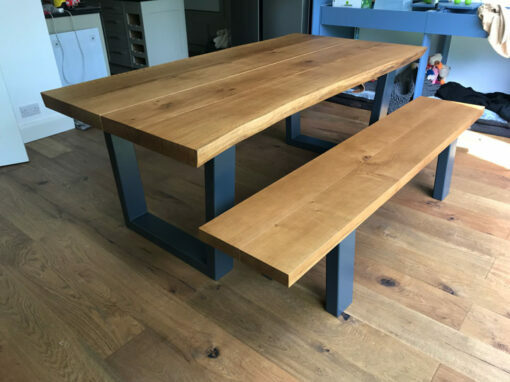 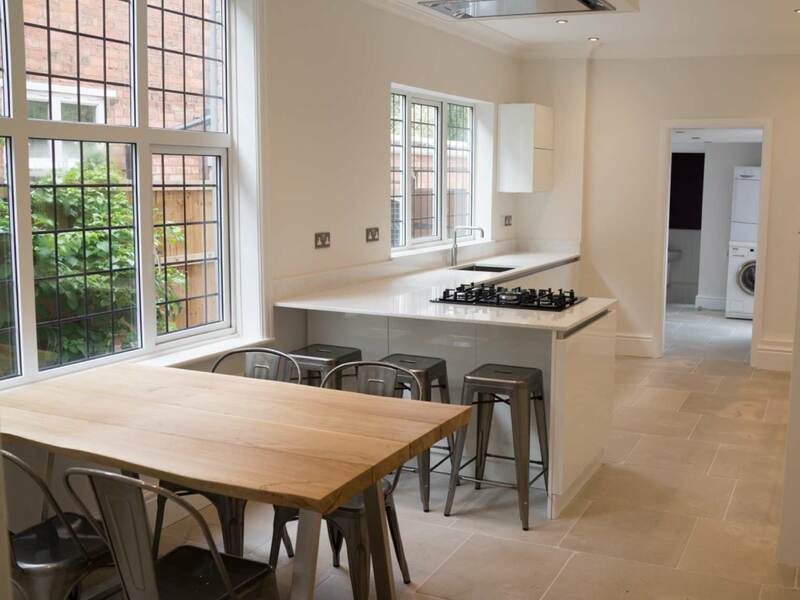 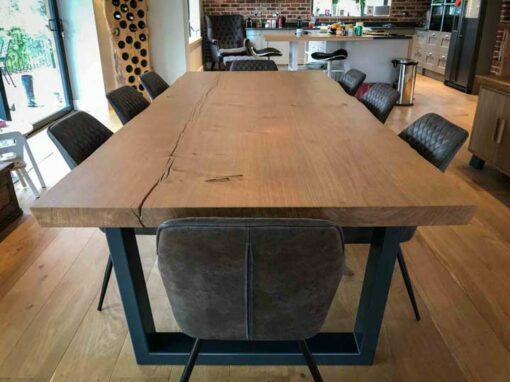 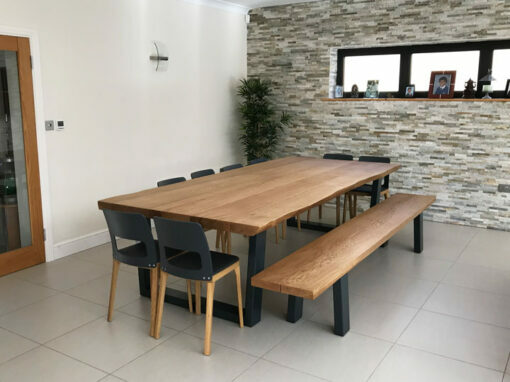 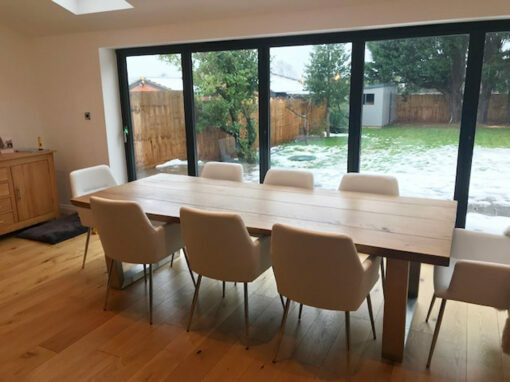 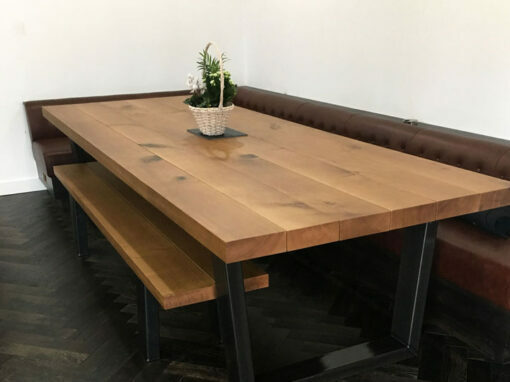 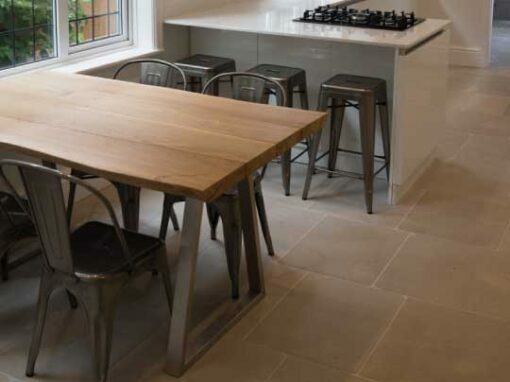 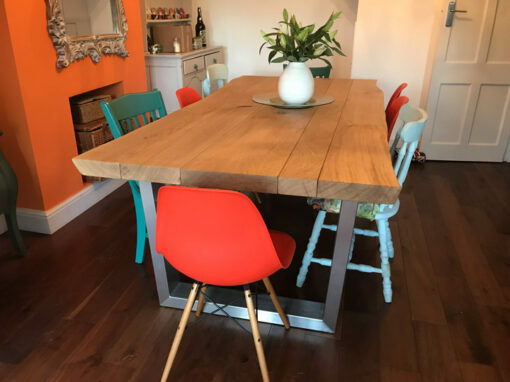 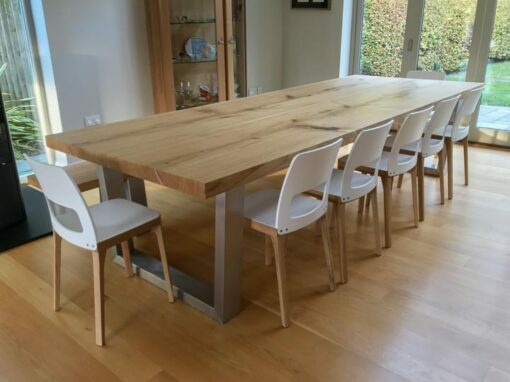 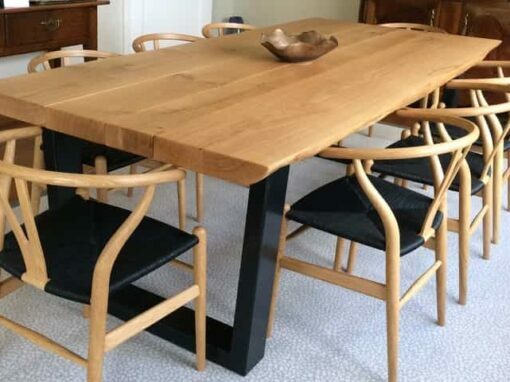 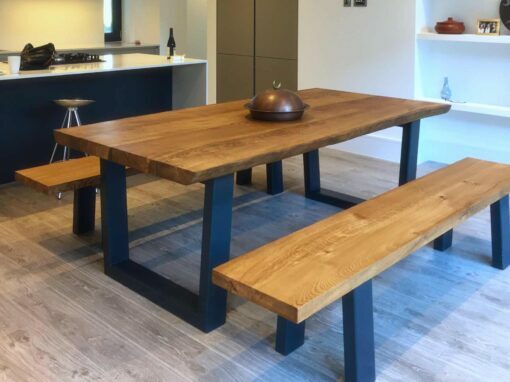 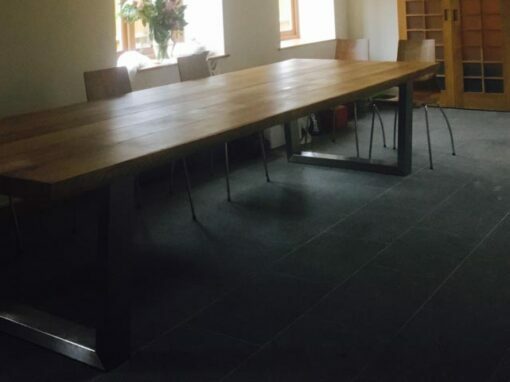 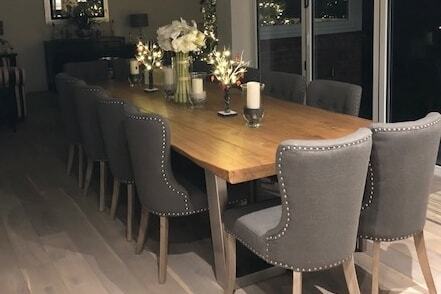 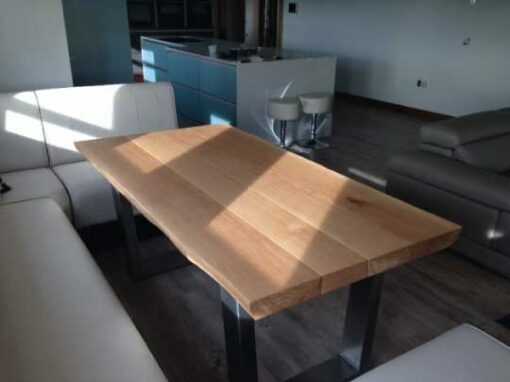 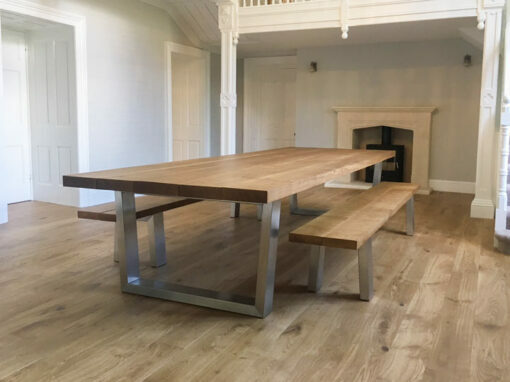 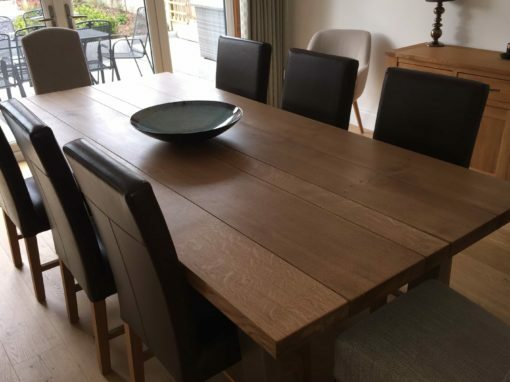 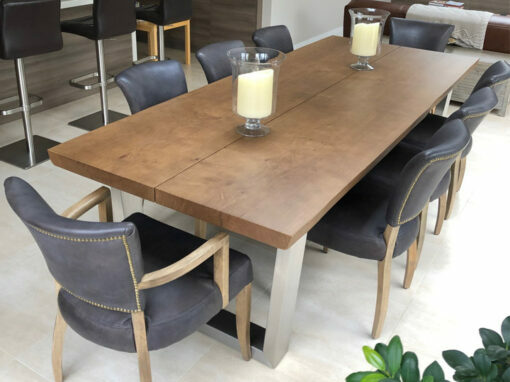 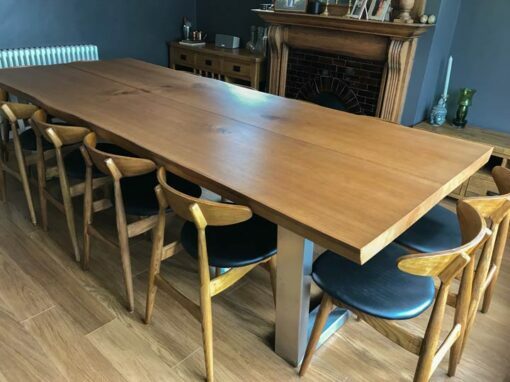 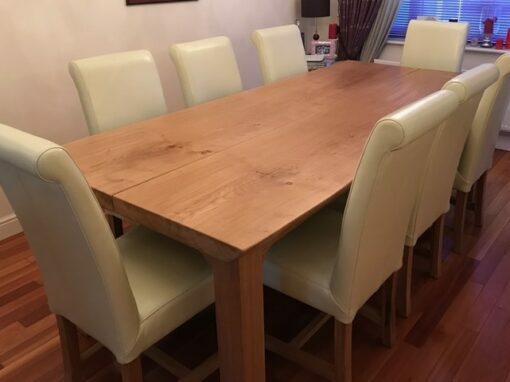 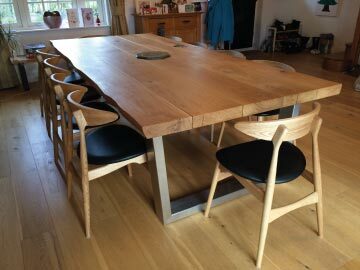 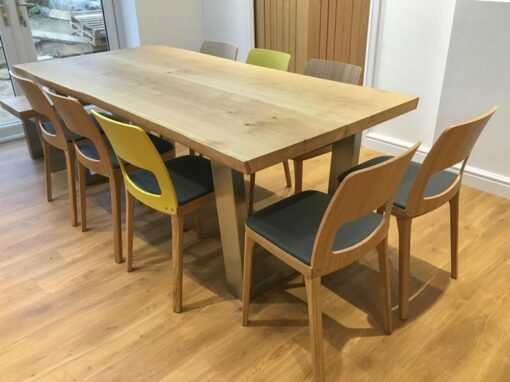 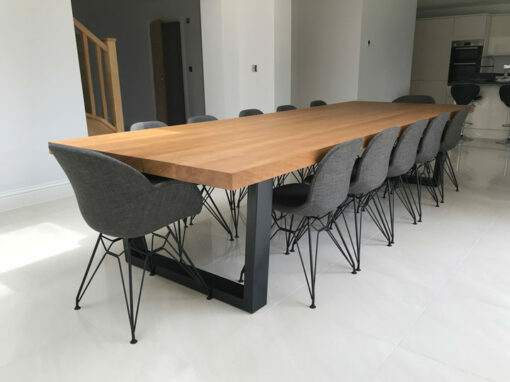 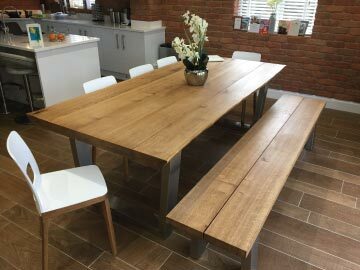 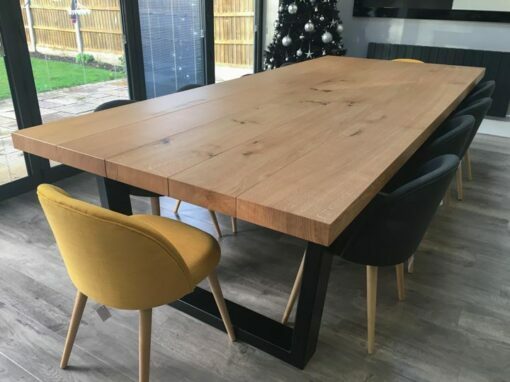 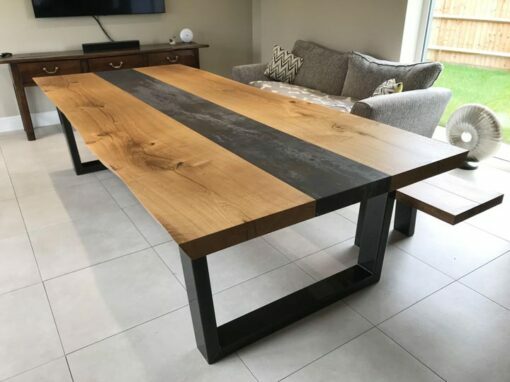 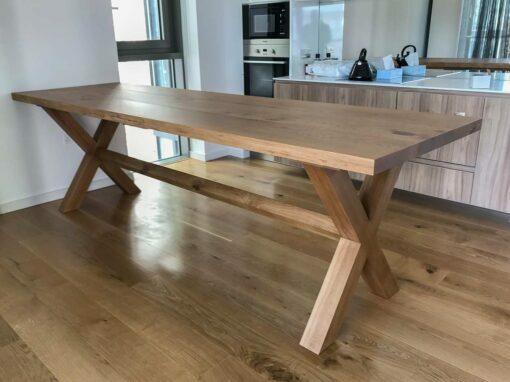 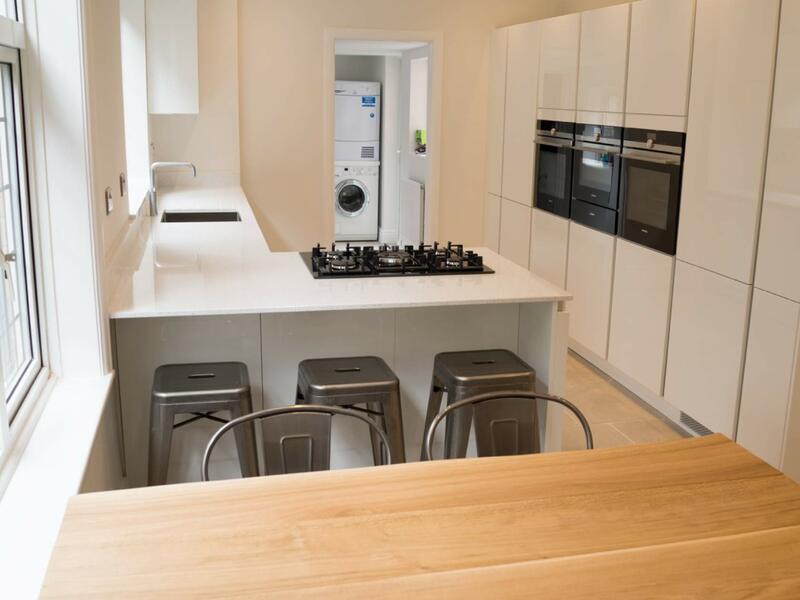 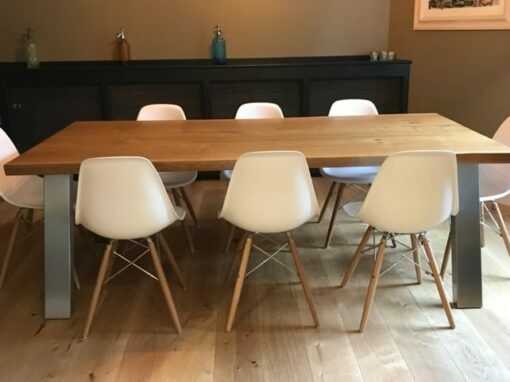 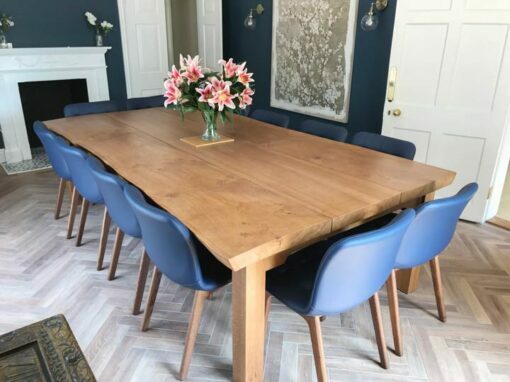 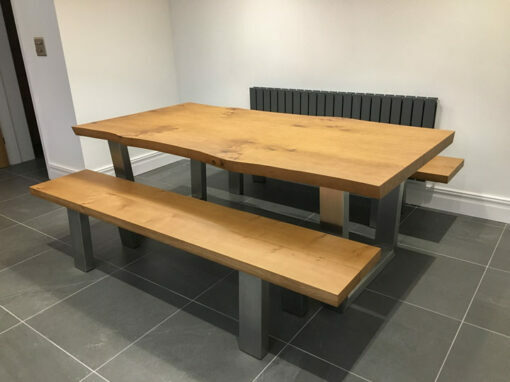 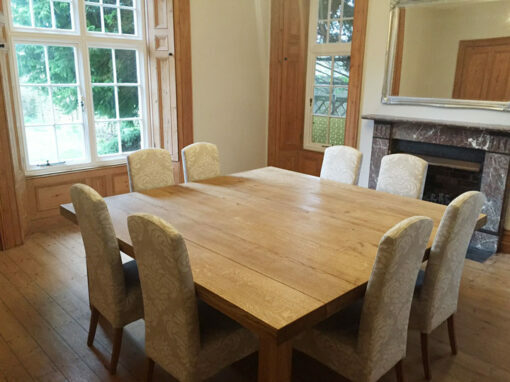 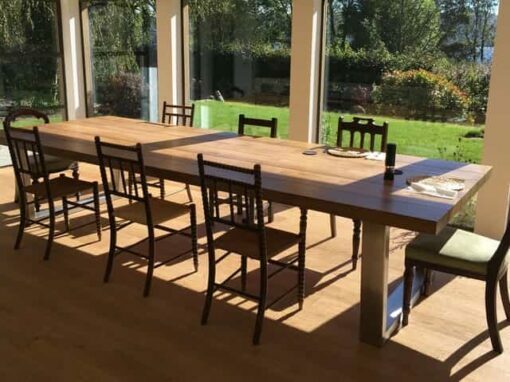 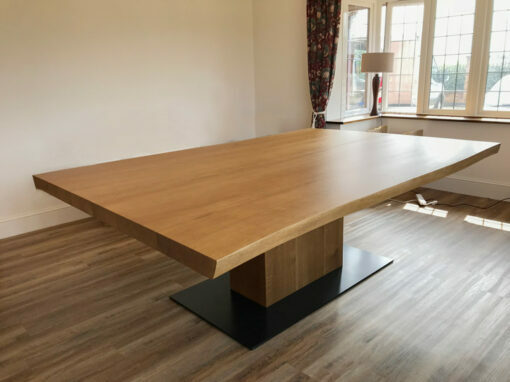 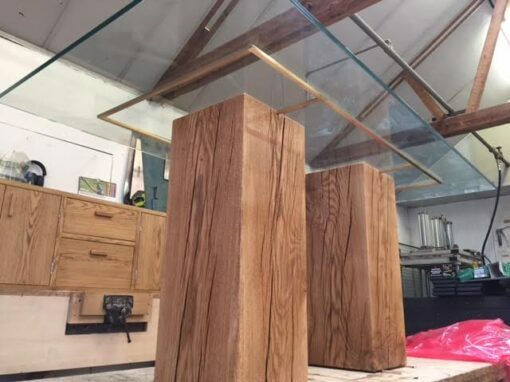 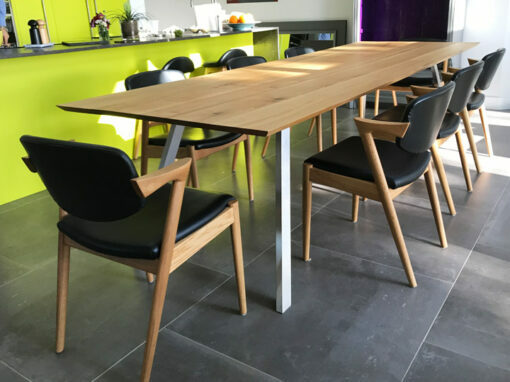 We are delighted with the table – it is a focal point within our kitchen and is in constant use. 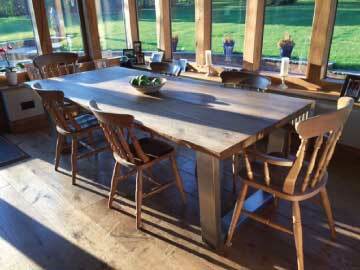 Every visitor that we have had has remarked on what a beautiful table it is. 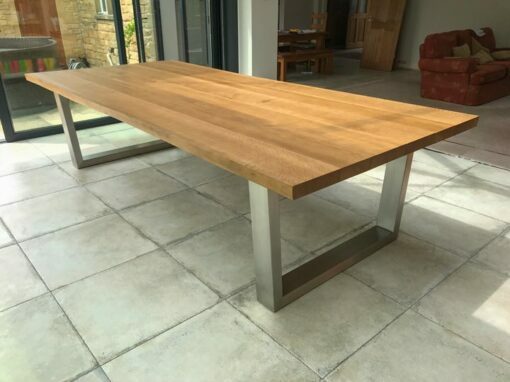 The build quality is everything I hoped it would be; lovely thick pieces of oak and just a simple but hugely strong steel support. 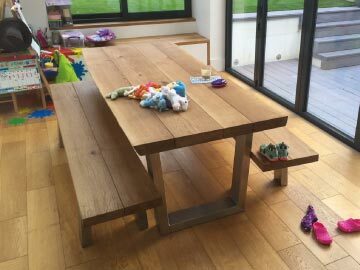 It is head and shoulders above all the other tables we looked at. 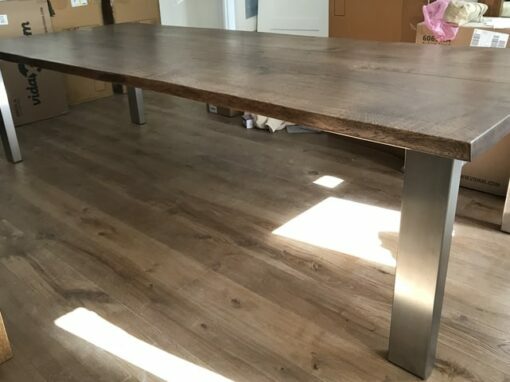 Please also pass on my sincere thanks to your delivery guys. 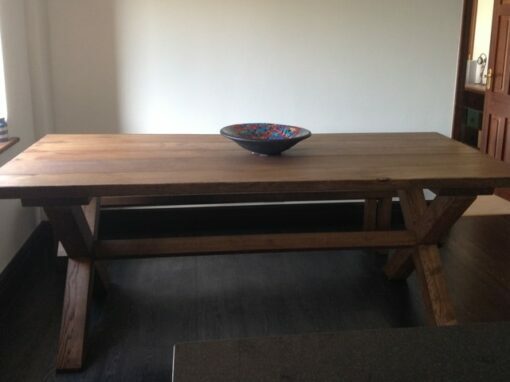 Shortly after they had left I noticed a minor issue with how the planks had been attached to the base. 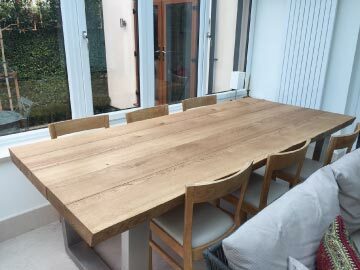 Even though they were a couple of miles down the road when I phoned them, they came back and sorted it out without any complaint. 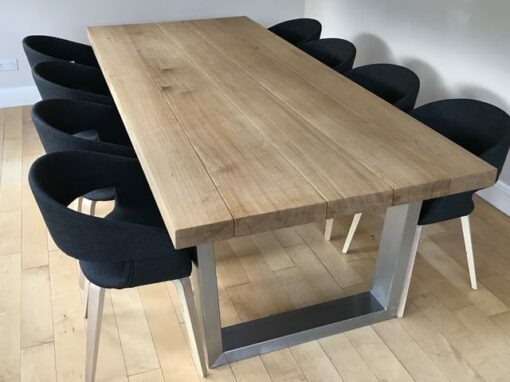 I know many companies/delivery teams would not be so obliging.